Great show and topics bu the host wont shut up aboit signing up for his site...that and the amount of ads in this podcast really annoy me. Dont podcast for money, do it for fun... Cut out the ads. Thank you ! I look forward to downloading the podcasts every monday. I teach Digital Media Production at Northeastern High School and have used many of your tips in my lesson plans! Many students are turned on to this show as well. Keep up the great work. Not only a great podcast but a super service. The level of customer service provided is really what makes the dvshow so good. You guys truly do your best to give your customers and listeners the best possible experience. Keep up the good work. I'm a loyal subscriber from this point on. this is the greatest, inspirational video and audio podcast that i have ever seen and I would really appreciate if you could email me. I am a rookie at shooting films and I can not afford to go to film school/ however I am teaching myself through your tutorials, trial and errors. Keep up the great work. I really look forward to every Monday’s download of your podcast - I must be a true “geek”. I started listening around the beginning of October and I have listened to almost all of the podcasts on iTunes. Thanks for everything you guys do!!! this podcast was good....and now it's great! I'm amazed to see this small story get bigger and better each week I listen. Great production, quality guests who are experts in the field, timely topics...the list goes on. You guys are mad men for going over 250 podcasts! where do you find the time? The first two years were great and the show keeps getting better. Sad to see them going premium at first thinking the free podcast would be gone but they still offer it along with a pay version. I would pay either way! Great quality, topics and the experts are always on the money when answering questions. Keep up wht great work guys! I listen every week and was very intrigued by your vast knowledge Video Production. You should have a career in the Television news media. Keep up the good work and who knows what you can accomplish in the industry. Everything I know as a successful videographer comes from this podcast, highly recommended. I've been listening for 3+ years now and learned alot! Keep up the great work, Brian. If you're not in the industry you shouldn't be listening as it relates to us. I actually want more ads it gives me a chance to learn about new gear! The show is well produced and if you listen long enough you may be able to pick up some useful information. Unfortunately, this podcast comes off like an extended sales pitch for DV Show's "premium" membership and other dubious offers. Ultimately, this podcast is a 30 minute commercial. I have been listening to this podcast for over 2 years. It is very informative and stays current. I am glad to that the skypecasts as also being archived on this podcasts. Brian - keep up the great work! So many podcasts become vidcasts these days and make it much more difficult to use them. As a busy professional, my podcast time comes at the gym or commutes.. can't do those with vidcasts. 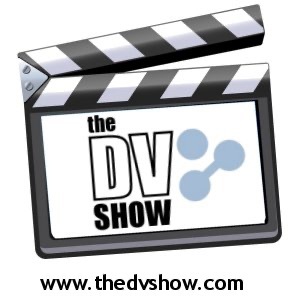 Brian and The DV Show crew here--- not fading we're just going with the trend and producing a vidcast- which makes more sense! This show was so well put-together...I'm surprised it's fading/faded. Hope the man is okay. Hey great show idea and concept. Keep up the good work and I cannot wait to hear about the New Video Podcast.